We believe that the children in our community will one day be pastors, elders, leaders and servants in the church of the future. We take our responsibility seriously to equip them. While we do have tailor fit ministries for unique age groups we also work hard to make them feel comfortable being a part of the adult community at Ren through participation of Sunday worship, community meals and neighborhood outreaches. The following is a breakdown of what is specifically offered for each age group. On Sunday mornings we have special programs for children of all ages. In the room called the Nest we provide childcare for infants and walkers. In addition, we also have a room upstairs in the sanctuary for moms to nurse. In the room called the Meadow we have a structured program for children that are confident walkers until age 3. Each week the children learn a Bible story that is catered to their age and includes a craft. They also have time for songs, games and free play. Snack is provided, which is animal crackers or goldfish and water. In the room called the Forest we have a structured program for children 3 years old until entering Kindergarten. Each week the children learn a Bible story that is catered to their age and includes a craft. They also have time for songs, games and free play. Snack is provided, which is animal crackers or goldfish and water. 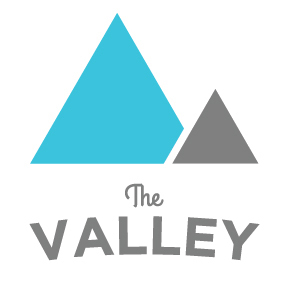 In the larger room called the Valley we have a full church experience for children in Kindergarten through 5th grade. The Valley incorporates interactive and dynamic worship videos with meaningful lyrics to engage the kids in worship to God. After worship one of the Valley teachers leads the kids in a Bible lesson taken from a proven children’s curriculum. Every teacher works from the same curriculum to give our kids the full spectrum of Bible teachings. After the Bible lesson, the Valley splits into Small Groups by grades - Kindergarten and 1st grade, 2nd and 3rd grade and 4th and 5th grade. Each group has a teacher to lead them in a discussion about the lesson, prayer and a interactive activity or craft. The Valley also incorporates a monthly memory verse and organized fellowship/free time at the beginning and end of each session.